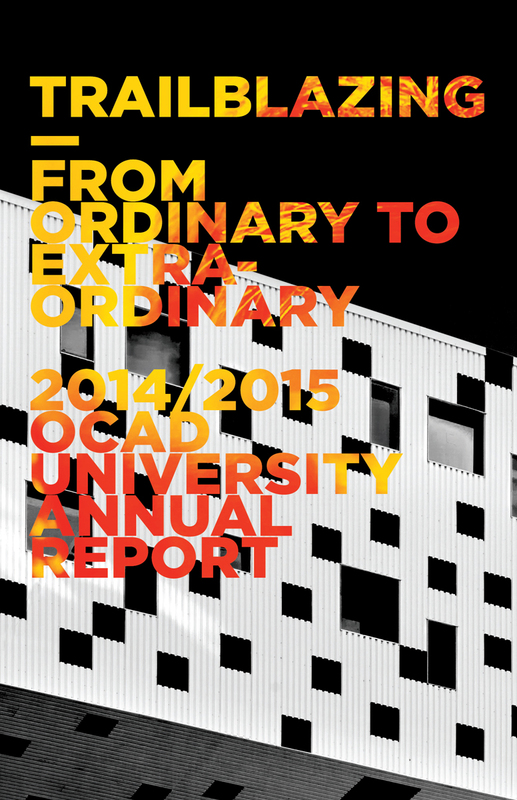 The OCAD University 2014/2015 annual report features a black-and-white cover with vibrant typography and colour within, much like the actual edifice of the university's landmark building. All photography was colour graded for maximum impact and vibrancy, giving the book a consistent palette and a sense of excitement. Quotes were pulled from students' stories and made large, encompassing the full spread. 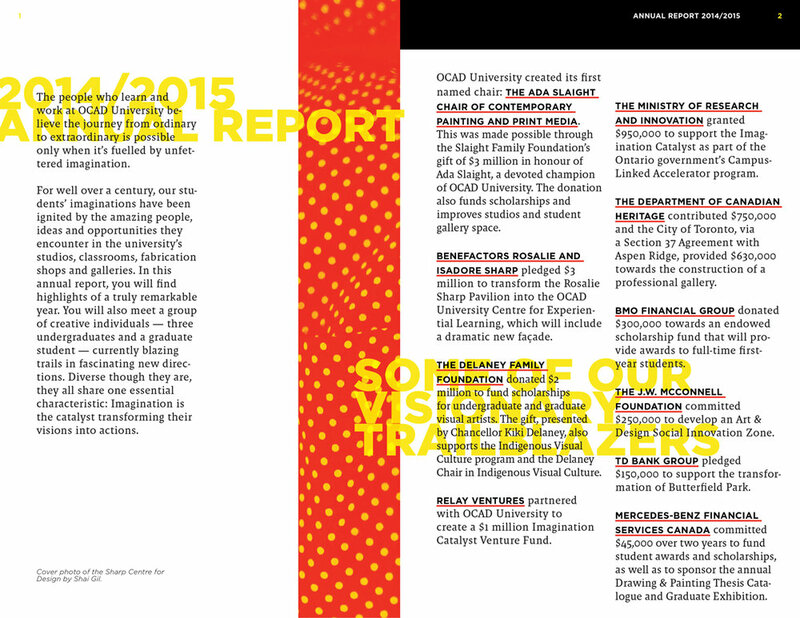 The resulting book is a warm and vivacious piece that speaks directly to OCAD University's achievements, goals, and future.